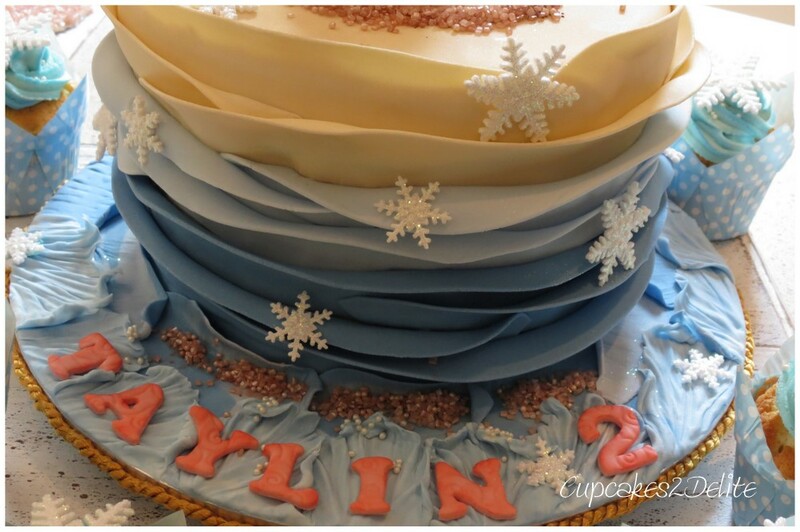 With all the excitement of the release of the movie Frozen, cake decorators everywhere are inundated with Frozen cake orders. I was excited to do this cake for Taylin’s 2nd birthday as she asked her mom for Olaf on the Beach for her birthday cake. 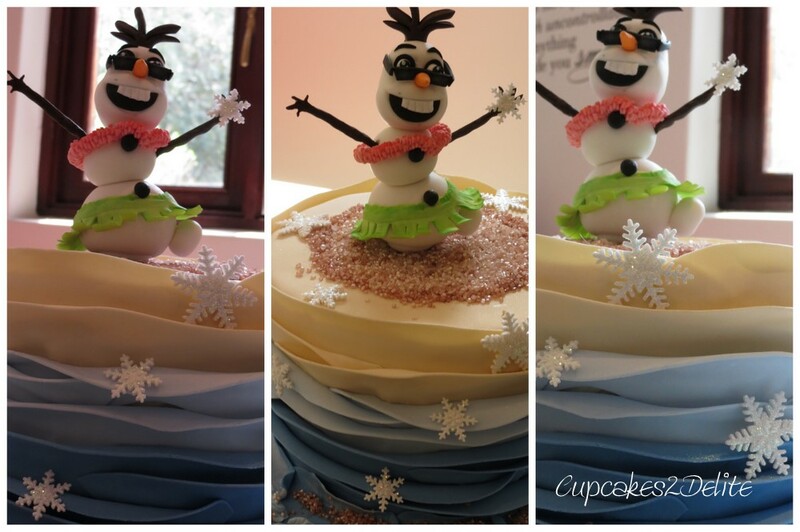 Sandy sent me a picture of a similar cake and I changed the colours and figurine to suit my beach design adding waves on the board splashing up the side of the cake onto the beach where Olaf is in his element wearing his nifty sunglasses. Olaf’s floral garland I made by cutting loads of tiny blossoms, glueing them together and then draping them around Olaf’s neck. 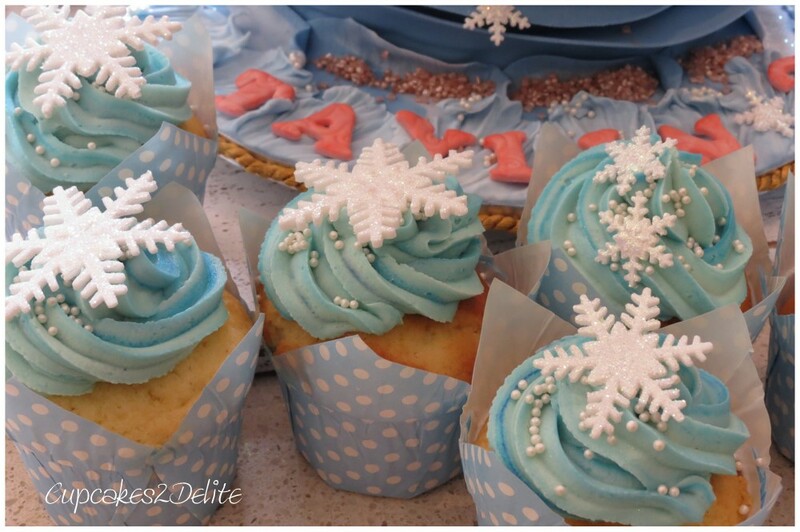 I added glittered snowflakes among the waves and on the beach and then used the snowflakes as the decoration for the matching Frozen Cupcakes. The most rewarding moment was when Taylin’s mom Sandy told me that her youngest daughter actually kissed Olaf when she saw the cake arriving. ← Tennis Cake for Byron’s 21st!